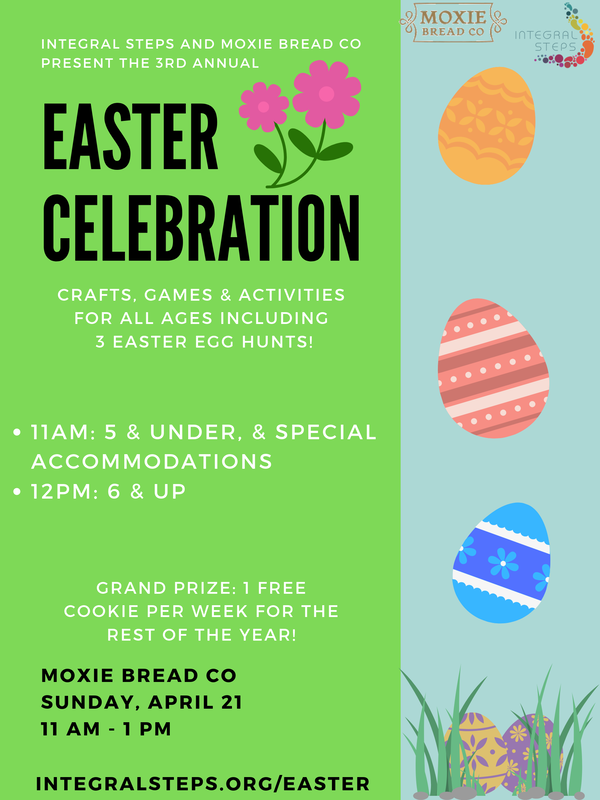 Celebrate at Moxie - Integral Steps, an integrative education non-profit supporting the balanced development of individuals, families and communities, through music, movement, psychotherapy, ecology and creative arts! Colorado and Portland based! We will have games, treats and crafts and can't wait to see you! We are so grateful to Moxie Bread Co for being such wonderful hosts. We love celebrating with them and are so lucky to include them as part of the Integral Steps family! All donations go towards scholarships and educational opportunities for local families.